Oats is a hardy cereal grain available throughout the year. It is a gluten free cereal. Thus recommended for those who are intolerant to the protein gluten. The glycemic index of oats is 55 which falls under low GI category but the glycemic load is 10.8 which is medium. 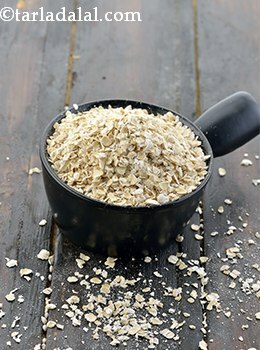 The antioxidant present in oats helps you control your blood pressure. Is oats safe for diabetes? Raw oats have medium glycemic load of 10.8 which will raise your blood sugar levels moderately. It is important to understand the amount of carbohydrate consumed at a time. Your blood sugar levels spikes when you tend to eat high amount of carbohydrates per meal. Also it is suggested to have your meal with a combination of good amount of protein like Almond Milk. Oats are rich in Beta Glucan, a soluble fiber which dissolves in the digestive track forming a thick gel which binds excess cholesterol within the gut and prevent it from being absorbed in the body. Is oats suitable for weight loss? The soluble fiber beta glucan present in oats tend to keep you full for a longer period of time. Also it takes more time for nutrient absorption. Thus controls your appetite. Thus proves to be effective you decide on to lose some extra kgs. It is one of the popular breakfast combined with Almond milk which gives protein to remain satiated. Try Oatmeal Almond Milk with Oranges to make a healthy breakfast.